The Beatles Through The Years: Paul McCartney's Memories of Liverpool in the Echo. 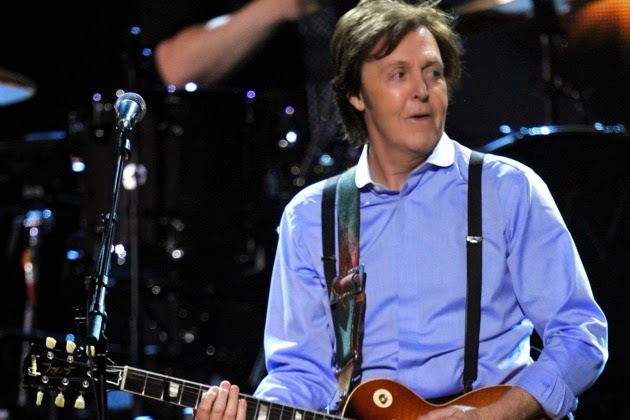 Paul McCartney's Memories of Liverpool in the Echo. Macca is Back: Ahead of his return to Liverpool, he spoke to the Echo about the city. "I love that journey, The thing I always do is give whoever I’m with the tour. I go along and I say ‘this is where we played our first gig’ and ‘that’s where John’s mum lived’ or ‘that’s the old Garston gas works’. We always go down Forthlin Road and I’ll see if there’s anyone outside. Last time there was a fella there saying I didn’t really live there. I wound the window down and said hello." That must have been an awkward moment for the fella! I remember John and I going up to the airport on our bikes to watch the planes. It makes me smile to think that named the airport after him." "I think he would have been well chuffed. He wouldn’t have believed it when we were kids on our bikes. In later life he would have been chuffed." 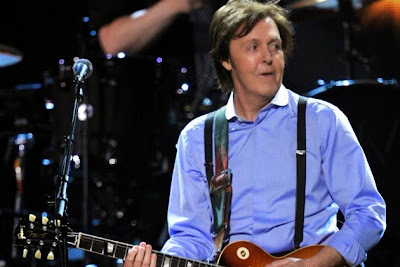 On his routine before a show, Paul says he chills out in his dressing room and apparently does a thing with hot water and Olbas oil to help his voice. He admits that the ritual is probably useless but it makes him feel better. I personally feel that Paul should drink at least some water during the show. Not TOO cold because that tends to be detrimental. I understand he might be worried about needing a pee during the set and wouldn't want to leave the stage before the encores but surely a little water wouldn't hurt? Lastly, we are looking forward to hearing all about your experiences at the shows in the UK! We hope you all have a great time and TBTTY knows you will!